Today, there's a lot of scaremongering in the media surrounding online trolling. When people are being terrible to each other, there's often this knee-jerk reaction to blame the technology rather than acknowledge that human beings have always been just plain horrible. Case in point: the radio trolls of 1910. An editorial in the December 1915 issue of Electrical Experimenter magazine explained that around 1910, radio trolls were playing dangerous pranks by sending out things like bogus SOS signals. This, of course, was causing coastal radio operators who at first took the calls as genuine to more and more assume that they were getting trolled. In those early days the wireless amateurs in this country were a rather reckless sort of element and became more and more disliked on account of their growing mischief. False distress and alarm calls by perverted "humorists" were the usual "smart" acts, and when a coastal station received a [distress call] in those days the thought was always uppermost in the operator's mind that the call was one of the usual amateur hoaxes. Despite Mr. Gernsback's vigorous warnings through his editorials in Modern Electrics, of which publication he was editor, the mischief continued, till in 1910 several bills were introduced in Washington which fairly promised to throttle the activities of every wireless enthusiast in the country. Who knows how many boy-who-cried-wolf scenarios caused actual distress calls to go unheeded? It's a question that I've sadly never seen serious historical research on. As Keith Massie and Stephen D. Perry note in their 2002 paper, Hugo Gernsback and Radio Magazines: An Influential Intersection in Broadcast History, there was considerable political debate in the early 1910s about what kind of legislation was necessary to regulate these trolls. 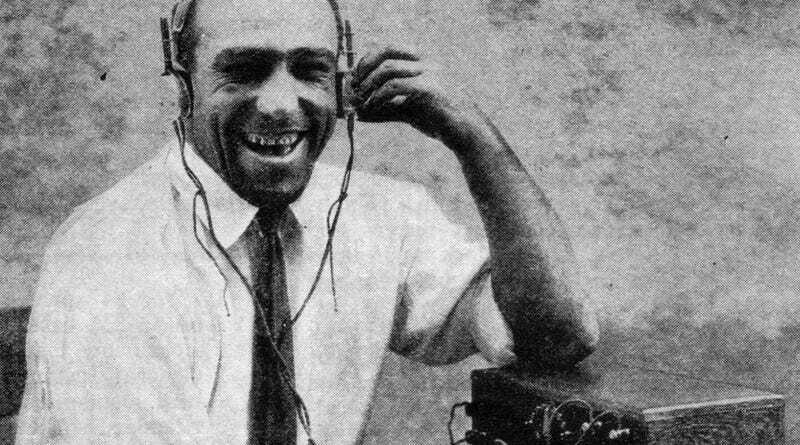 Future science fiction publisher (and radio tech pioneer) Hugo Gernsback was a tireless advocate for the radio amateurs, trying to rein in the more irresponsible in the radio community and make sure that "hostile legislation" wouldn't get through Congress. Radio remained largely the domain of the amateur throughout the 1910s (excluding military use, especially during WWI). But it was through Gernsback's magazines and amateur radio organizations like the Wireless Association of America that he was able to influence legislation to protect early adopters from getting squeezed out of this bold new experiment. Some laws were passed, like the Radio Act of 1912, which first tried to regulate this unruly and disparate community of tinkerers. But it was arguably appeals to shame on the pages of his magazines which worked best at clamping down on the bad apples. And as we know, shame is a powerful force.